Best Christmas Decorations in So Cal – You Can Visit for Free – We Did! 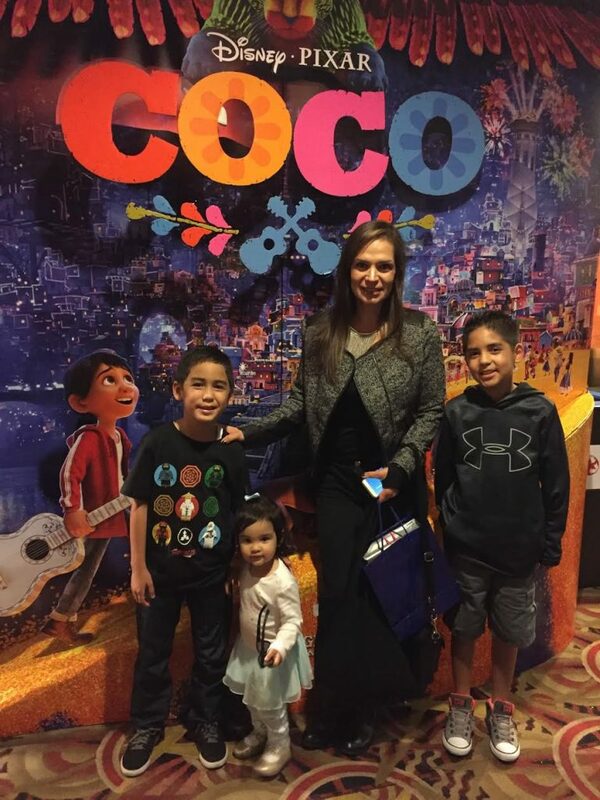 At the Coco movie screening. Growing up in a Mexican household (while living in California), I learned about Día de Los Muertos (Day of the Dead, the holiday celebrated in Mexico to honor the dead) at an early age. It was important to my parents that my siblings and I learn about the Mexican culture and traditions. They not only worked hard to teach us proper Spanish, but also to instill in us a sense of pride and appreciation for our Mexican culture and heritage. I am very appreciative to my parents for giving me this wonderful gift! I grew up in the United States, but I am Mexican-American, bicultural and bilingual! I feel I have the best of both worlds! Ya que varias personas me han preguntado, comparto pasos de como me hago peinado de Torcido Frances (French Twist), es facil, rapido, y buen peinado para eventos formales o uso diario! Especialmente con este calor! Oprime enlace para ver el video en Español ¡Gracias por tu sintonia! Si te gusta este video por favor oprime “Like” y “Subscribe” para subscribirte a mi canal de YouTube (oprime aqui) y enterarte de cuando pongo videos nuevos. ¡Gracias por tu apoyo! Since multiple people have asked me how I do my hair in a French Twist, I recorded a tutorial video, it’s easy & quick, a good hairstyle for formal events or everyday use! Especially with this heat! Click to watch video. We headed downtown for lunch at the popular food trucks & then a friend’s party with amazing penthouse views of the bay, click to view my vlog, it was a fun day! Thank you for watching! If you like this video, please Like it & Subscribe to my Youtube channel to receive notifications of new videos I upload. And, please leave your comments below  If you are interested, you can watch more of my videos here YouTube: Paola Hernandez-Jiao.Thanks for your support! When was the last time you went downtown?